Single ladies living in today’s digital age have no shortage of options. We could go on a date with a different guy every night of the week if we wanted to, especially considering how easy it is to swipe right for a date. So, why don’t we? It becomes clear to me over the years that the paradox of choice causes us to be overwhelmed by too many options, and that women are finding more and more excuses to avoid going out on dates – to the point where many of us haven’t been on a date in months or even years. 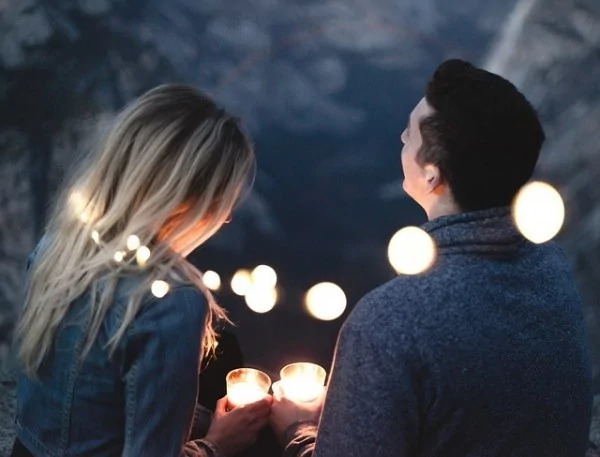 While it is indisputable that we would have better luck finding a partner if we actually went on dates, there are reasons why many of us alienate ourselves from the dating culture. It is important to remember, though, that your dating life will change for the better if you start putting yourself out there. When we are overwhelmed by the shocking amount of Tinder matches we get, following up with them becomes a ‘job’ that we want to avoid dealing with. So, we message no one. We also become less and less satisfied with each option whenever we believe we have a ton of options to choose from. Too much choice can ruin dating, if you let it. The paradox of choice can cause us to go on fewer dates than we could or should go on. However, the more dates we go on, the more likely we are to find someone special. In order to find someone special, you must go on a bunch of dates, and you have to be seen. Yes, this involves spending time getting ready and washing your hair, but it is worth the effort. Remember that Mr. Right won’t fall into your lap. You have to get out there, date a bunch of the wrong people, slay some dragons and kiss some frogs before you will find your prince. The frustrating ‘no’s will eventually lead to that coveted yes. Just sitting there, however, will lead you nowhere. Avoiding the dating scene is obviously not how you will meet someone. Going on lots of dates, or playing the field, is something everyone should do for a period of time. It helps you recognize what you actually want in a partner and promotes personal growth. Playing the numbers game doesn’t mean you have to sleep with a ton of different guys. It just means being open to meeting more new men in the early stages of dating so that you see what’s out there (not to mention it can be incredibly confidence-boosting to see you have options to choose from!) Later on down the line, you may decide that one guy is worth your exclusive attention, but in the beginning it’s important to be open to having several first dates before you decide to invest all your time and emotion in one person. Matthew Hussey’s best point here is that you will gain confidence by dating multiple men, which will help raise your standards. Gaining confidence also translates into self-love, which helps ensure that you won’t settle for less than what you deserve in a partner. Bad dates are a good thing because every bad date with another Mr. Wrong means you are that much closer to finding the right guy. One of the greatest dating advice articles I have ever checked is Mark Manson’s viral article F*ck Yes or No. The law of averages proves that the more people you date, the closer you will get to that perfect relationship. One of the biggest mistakes we are all making when it comes to dating is that we don’t give the law of averages an opportunity to work its magic. We are not putting ourselves out there enough – not even by a mile. If you have been rejected hundred times, and you might develop a fear of rejection, which stops you from enjoying dating altogether. The more failed dates you have, the more people you are not that into, and the more times you are rejected – the more chances you have to find someone that will become your soulmate. If you cherry-pick and therefore reject most of your date opportunities, you might go on dates more rarely – and thus you might end up going on a date with low self-esteem, too much overthinking, and a fear of rejection. The law of averages shows that the more dates you have, the higher dating success you will reach. If that does not sound like a reason to start dating more, how about the fact that dating several people at the same time can help you feel more confident and not scare off your potential soulmate by acting needy? If you are dating one guy and he is not showing you the amount of attention or affection you crave, you will stress over him way too much. You will overthink and overanalyze what he says, read into what he doesn’t say, and if he doesn’t text you back temporary anxiety can consume your thoughts. When you have got a few guys texting you though, since you have gone on several dates, you won’t even notice when one of them gives you less attention. Until you meet Mr. Right, it is perfectly fine to date several guys at once. If you overcome your fears and start going on more and more dates, you begin to feel comfortable on dates, making them less stressful. Being ‘excellent’ at dating is a legitimate thing. After all, practice makes it perfect. Yes, dating is a skill. Don’t forget, dating is supposed to be fun. Even if you end up feeling a lack of romantic chemistry, any date itself is still entertaining and fun. Or, you learn something valuable about yourself on the date. Remember that even bad dates are beneficial to your overall dating success, so get out there and date!